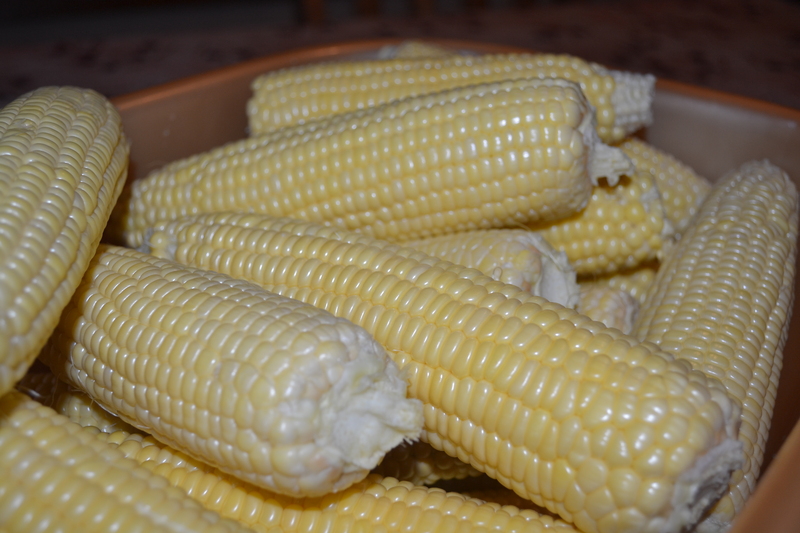 Sweet corn is a summer treat on the Prairies. My mom usually grows a couple rows of corn in her garden. 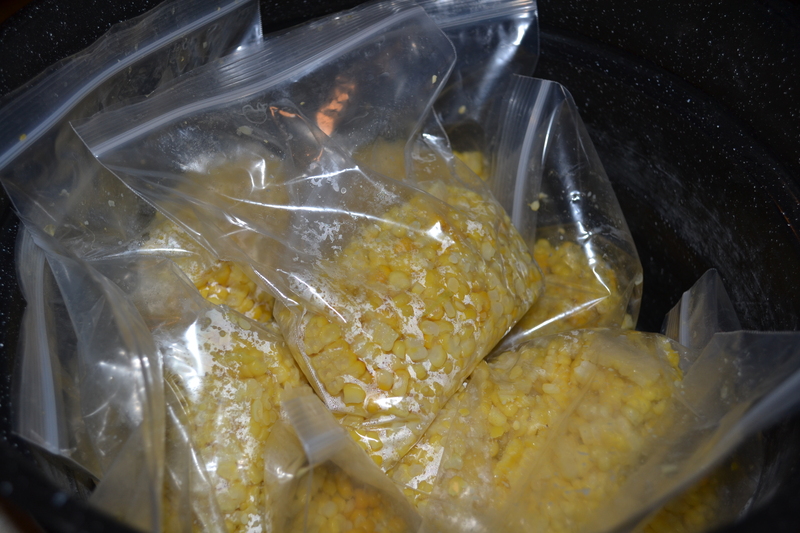 Of course we eat some of the corn on the cob and some we put in bags and store in the freezer to be enjoyed during the winter months. 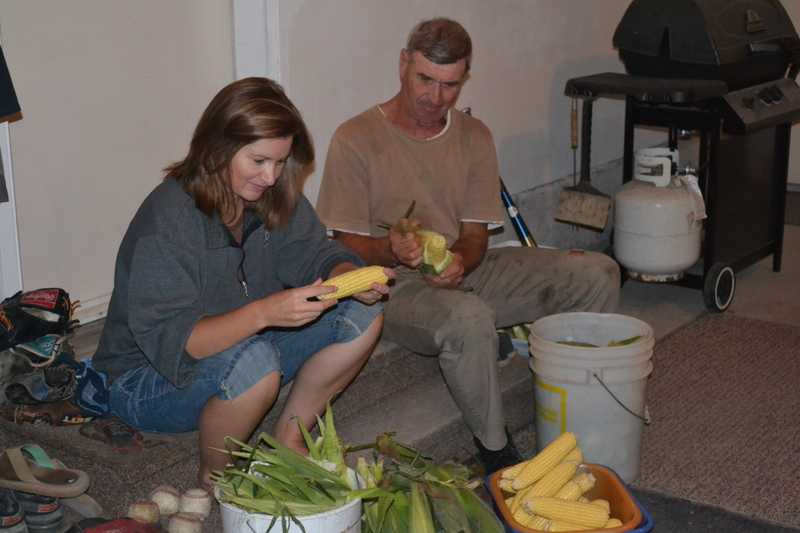 Here is a series of photos showing us doing corn. In the pot... boiling the corn. Cutting the corn off the cob with an electric knife. Bags of corn. We put about two cups of corn in each bag. 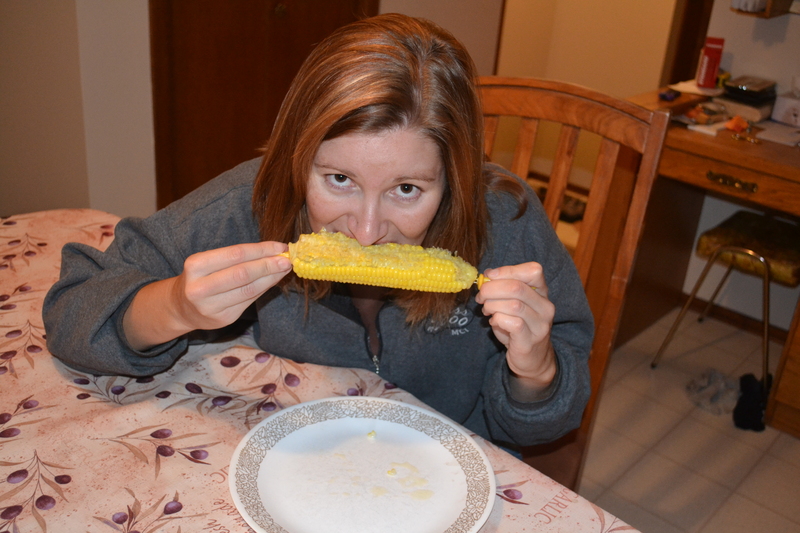 And I just had to throw in this photo of me enjoying fresh corn on the cob. Thanks to the photographer, my mom! Mmm... corn on the cob. 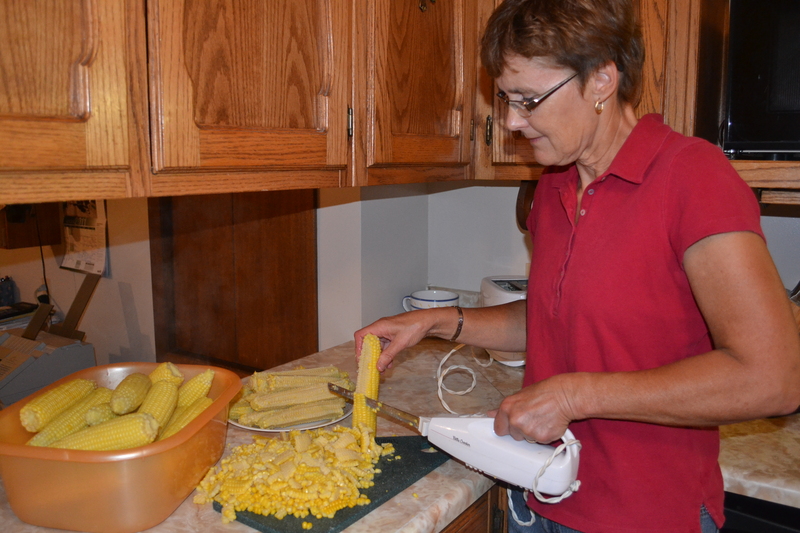 How do you cook your corn on the cob? Do you stick with the traditional butter and salt or do you spice it up with other toppings? I use margarine, sometimes sea salt or dill. I just bought some corn last night for a BBQ I’m having tomorrow at my place. BBQ? Did my invitation get lost in the mail?! Just teasing. Have a great long weekend and enjoy the corn! Soak the entire cob (husk and all) in water for at least 20 minutes then throw on the bbq or fire until the husk is charred. Peel off the husk and enjoy! 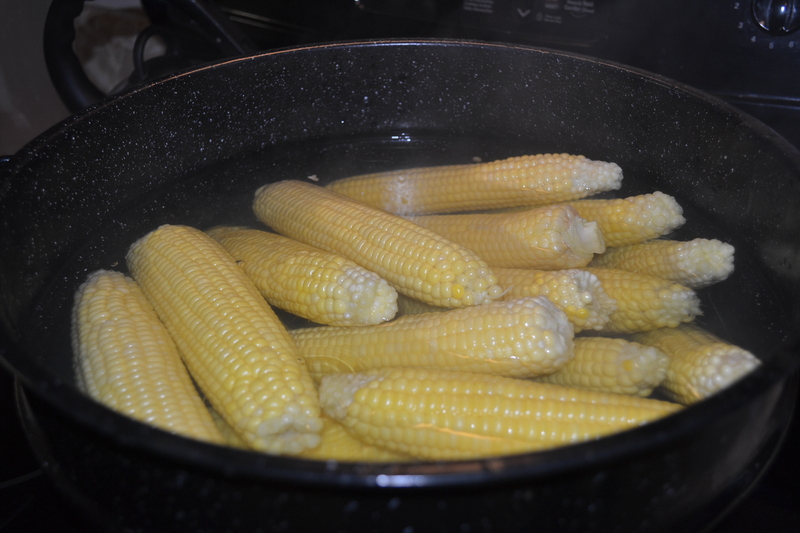 I remember having corn on the cob done this way with you – very tasty! Thanks for commenting!